I just got done upgrading the lights on my electric car. Nope, not the headlights, just the dome lights and license plate lights. One of the things that I didn’t care for on this car is that the incandescent light bulbs just feel “old-fashioned”! For some time now, cars have been going towards HID and LED headlights, headlight LED “halos”, and overall cooler color-temperatures. 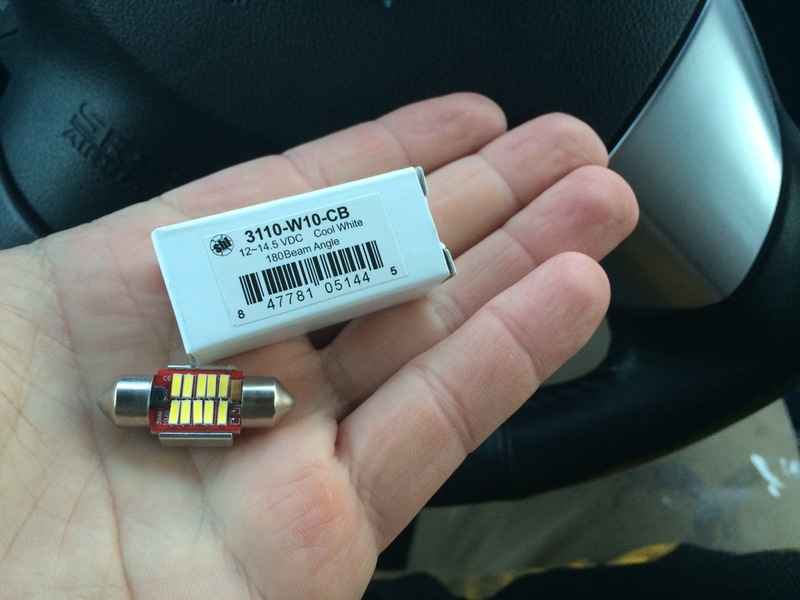 I had already picked up a Sylvania 0.5 watt DE3175 LED bulb to try out in my car. I popped it in to one of the dome lights to try out. It worked well, nice and bright, with the “clean” daylight color. While my car was sitting at the dealership for three weeks, a box arrived from SuperBrightLEDs.com. 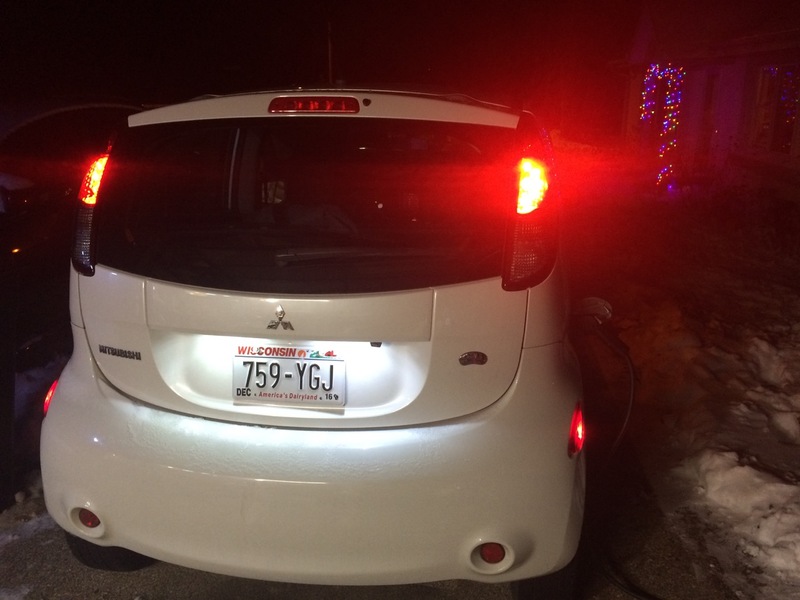 I ordered two more dome light bulbs – the Mitsubishi iMiEV has 3 total dome lights – driver and passenger, plus one in the middle of the car. I also ordered a pair of lights for the rear license plate. Since I finally have my car back, I put in the new bulbs. First up, the 3110-W10-CB. The bulb is listed as being “cool white” with a 180 degree beam angle. It has 10 individual surface-mount LEDs on it. The heat-sink on the back of the bulb is significantly large. 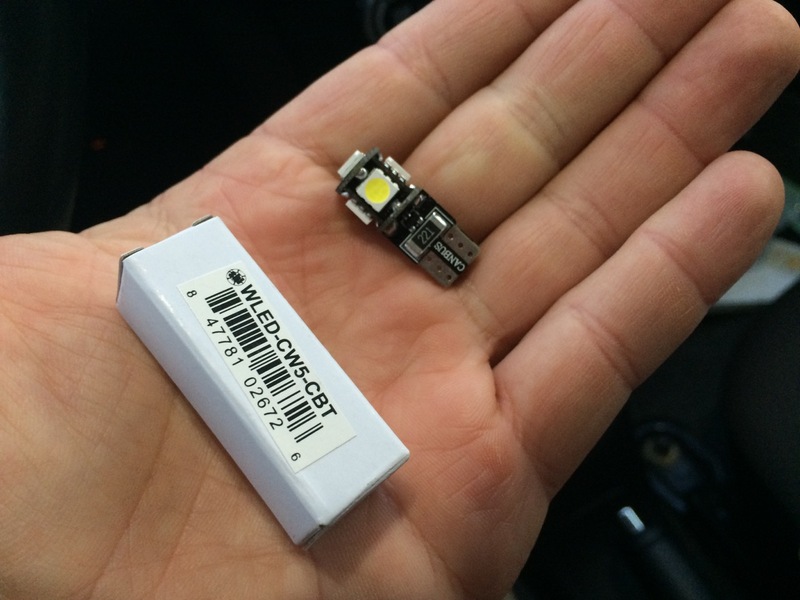 Although the LEDs are yellow in color, they do emit daylight color light. These bulbs were $4.95 each, and I ordered two of them. The torpedo shape of the bulb was just ever so slightly longer than the incandescent bulb that I pulled out. (This was also true of the Sylvania bulb.) I could get the bulb in, but it was a tight fit. I first compared the SuperBrightLEDs bulb to the incandescent. It was noticeably brighter and I very much preferred the color. Remember that the camera doesn’t always see things the way the human eye does. To my eye, the difference in color and brightness was MORE noticeable than it was in the photograph. Next, I tried out the SuperBrightLEDs bulb versus the Sylvania LED bulb I already had. In this photo, the S.B.L. bulb is again on the right, with the Sylvania bulb on the left. The S.B.L. bulb was brighter, but not by too much. The Sylvania bulb seemed to have just a little bit of a hint of green color compared to the SuperBrightLEDs bulb. 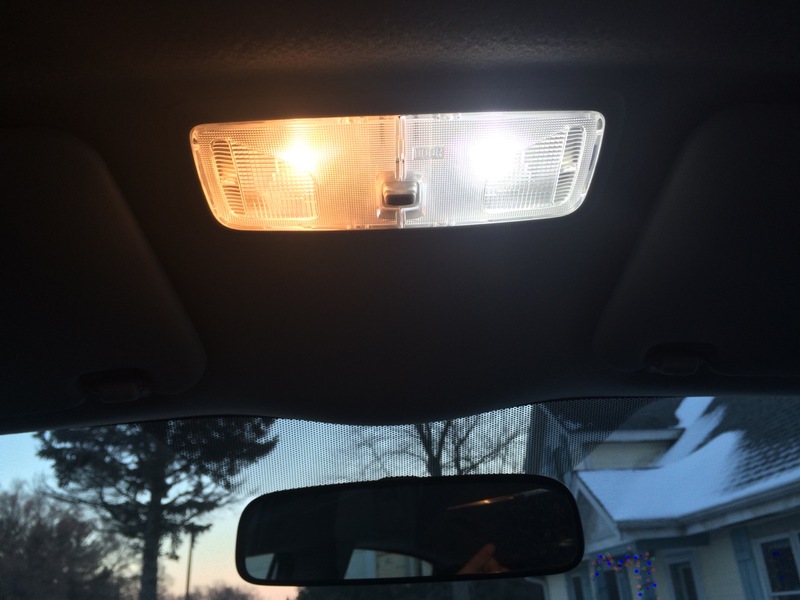 I left the bulbs in this configuration and added the other LED bulb to the dome light in the center of the car. 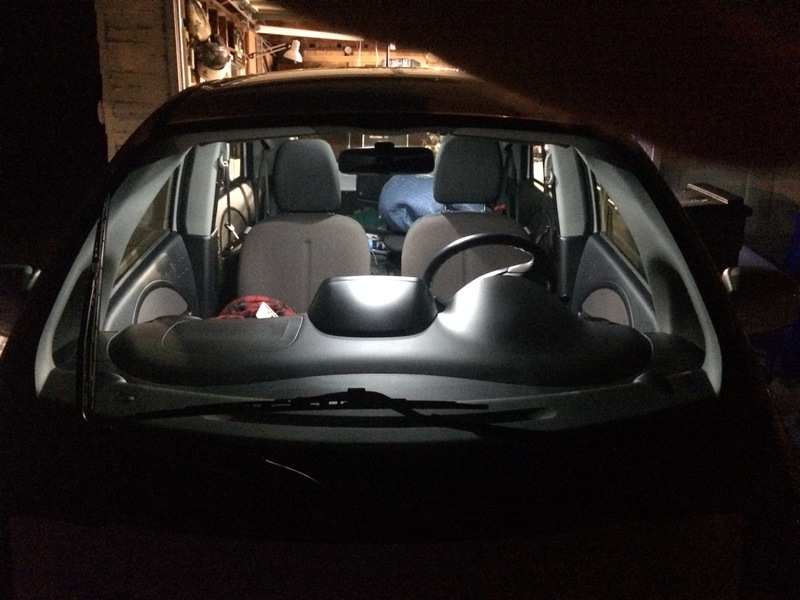 Since the car doesn’t have a light in the far back, I wanted the brightest bulb I could get in the middle. 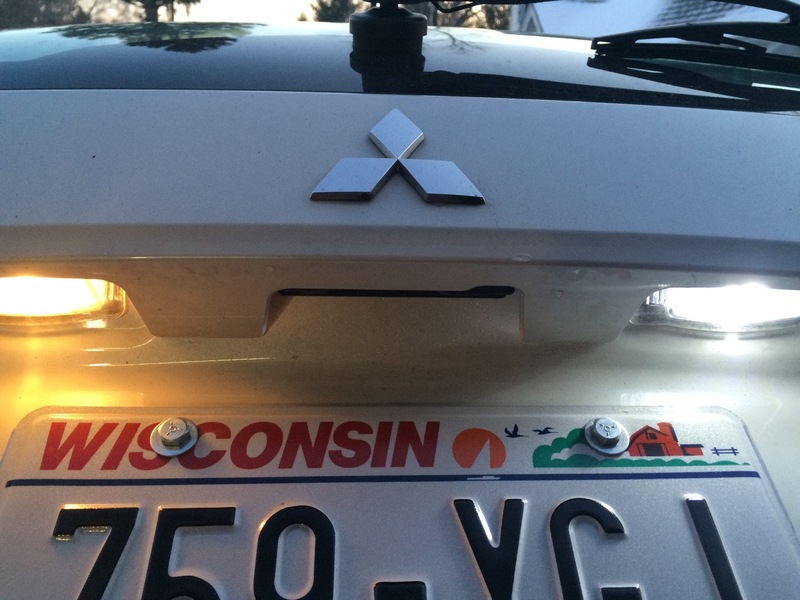 Next, I headed to the back of the car to see about upgrading the license plate lights. I had a pair of WLED-CW5-CBT wedge LED bulbs. These were also $4.95 each. These bulbs have 5 individual LEDs, one pointing each direction, except where the base is. 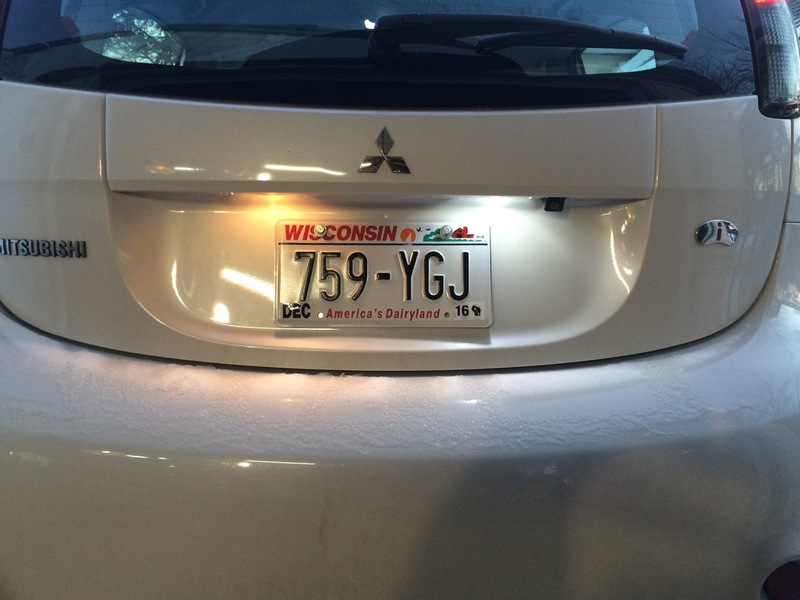 I removed the bulb holder from above the license plate, popped the lens out, and pulled out the incandescent bulb. I then replaced it with the LED. The cooler color temperature looked much better on the white car. As for brightness, the LED and incandescent bulbs looked about the same, with perhaps just a little more light from the LED. The light from the LED actually looked a little better spread out. (Which is odd, LEDs tend to be directional and usually cast harsher shadows.) I believe that the “all directions” shape of this LED bulb, plus the lens of the light worked well together. The LED side of the plate was very evenly lit. Overall, I’m very pleased with the look of this LED upgrade. Will this save me a lot of money? No. Total price for 5 bulbs was just under $30. These were all tiny, low-wattage bulbs to begin with. More efficient lights aren’t going to get me miles more range in this electric car. Unlike converting an entire home to LED lighting, this is going to have minimal impact on the electric bill. In this case, I was really going more for looks, with the added benefit of a little additional brightness. Inside the car, it does feel brighter and cleaner. “Daylight” color bulbs match the color of light where the car naturally is – outdoors. If you have a car that still has “old-fashioned” incandescent lights, I’d recommend an upgrade. However, that’s only if you like brighter light, and color temperatures are something that you notice and care about, as I do. If you find yourself saying “Thirty bucks! For lights I already have!”, then skip it, but also keep that in mind the next time you have to replace a burned out-bulb. To be fair, car bulbs don’t burn out all that often, but missing plate lights could get you pulled over by the police. That’s still a hassle, even if a friendly police officer is just giving you a warning or reminder. Till next time, stay lit-up! Hello Ben, love the upgrade you’ve done to the lighting system. The front fog lights would be a great candidate for your next upgrade. So, we’re considering doing the same upgrade with our new 2016 iMiEV. 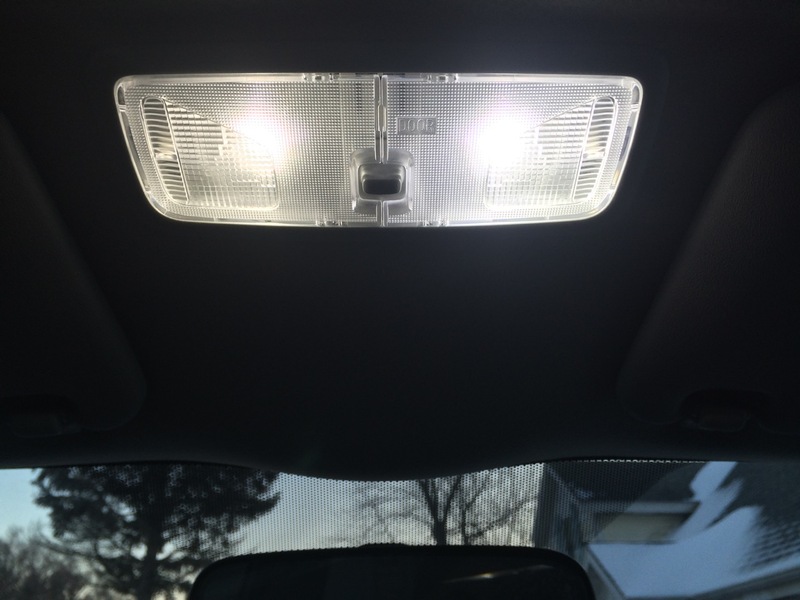 We searched super bright led by car make and model, year (had to choose 2014 year model) and the part numbers and choices they provide don’t match yours. Also should we be choosing “can bus ” models bulbs over standard led ( the we site provides 2 choices). Would you also have the centre dome light part number and picture? 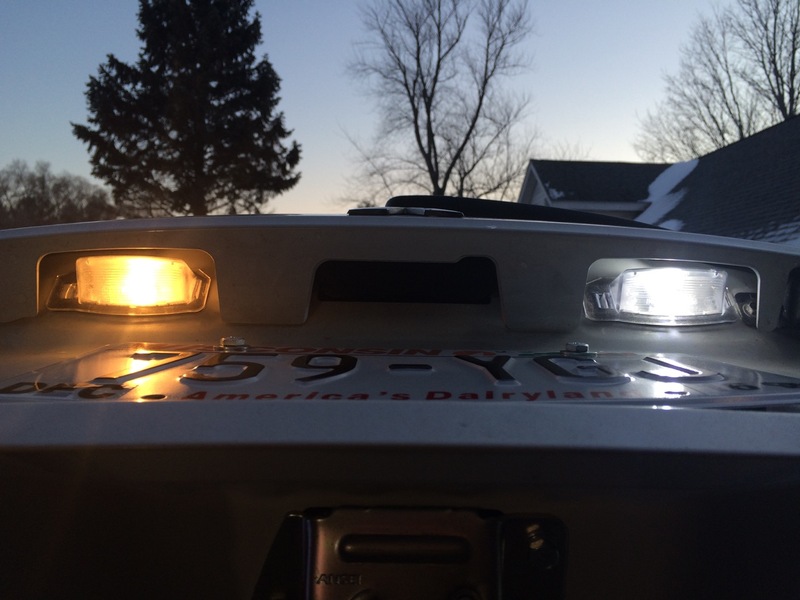 The bulb used for the central dome light is the same as that used for the twin dome lights/map lights in the front of the car. I did NOT shop for these bulbs by automobile make and model. I pulled out the bulb to see what was there, then searched for the same bulb at SuperBrightLEDs. Both of those bulbs were listed as being CanBus compatible. The first light for the dome was from my local Advance Auto Parts store and was a Sylvania cool white DE3175 LED bulb. The fog lights would be interesting to fool around with. I rather like the daytime running lights on the car, OTHER than the fact that they are incandescent. I would imagine they would be easier to upgrade than the projection beam headlights. You can also click on any of the photos for a larger version, then click on that for a full-screen size version of the photo. 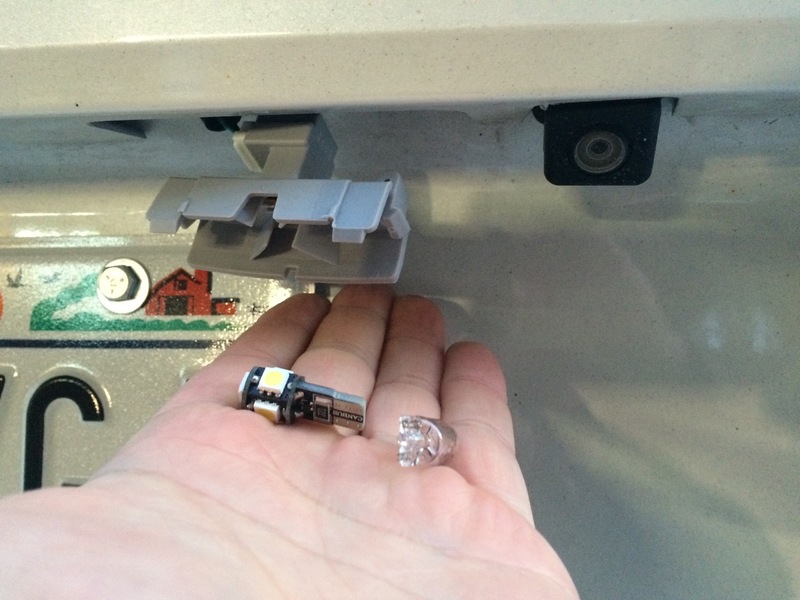 You should be able to read the part numbers and see the bulbs themselves easily that way. Previous post: The iMiEV is back!